ZIFA presidential aspirant Felton Kamambo yesterday wrote to the world soccer governing body, Fifa, seeking the postponement of the Zifa executive committee elections scheduled for Saturday, citing a flawed electoral process. Fifa secretary-general Fatma SamouraThe former Zifa board member wants to challenge incumbent Philip Chiyangwa for the post of president, but his efforts have been frustrated by a leadership which has resorted to unorthodox means to scuttle his bid. Kamambo was disqualified by the Zifa electoral committee on the grounds that he had been suspended from football despite that he had resigned on his own volition in March, on the basis that his term of office had expired. The former Zifa board then filed a notice of appeal against his disqualification, but a hastily appointed appeals committee, chaired by Tafadzwa Mazonde, only delivered its judgment in which it upheld the earlier ruling by the electoral committee, well outside the prescribed dates, according to the Zifa electoral code. That violation of the electoral code has formed the basis on which Kamambo wants Fifa to intervene and postpone the elections. In a letter to Fifa general-secretary Fatma Samoura, which was also copied to Caf president Ahmad Ahmad, the Youth, Sports, Arts and Culture ministry and the Sport and Recreation Commission (SRC), Kamambo wants the world football governing body to postpone the elections, citing a plethora of irregularities in the entire electoral process. "I make reference to the above subject. There have been other developments soon, since I last communicated with you. "The Phillip Chiyangwa executive hastily arranged or unconstitutionally appointed an appeals committee to dispose of our appeals, well out of the prescribed dates, in terms of article 12 (2) and 12 (3) of the Zifa electoral code. "Article 12(2) stipulates that 'any appeal, with its reasons, shall be sent by registered post or delivered in exchange for confirmation of receipt to the general secretary of Zifa within four days of receipt of the electoral committee decisions'. "Furthermore, article 12 (3) stipulates that appeals shall be considered by the electoral committee within four days of the receipt by the general secretary of Zifa. It is important to note that the electoral committee sat on November 2, 2018 to consider and vet the submitted forms. I then received a letter from the Zifa secretary on November 5, 2018, notifying me of the electoral committee's decision to bar me from contesting." Kamambo said his request for more information on the grounds of his disqualification to enable him to prepare his heads of arguments was turned down. "I submitted my notice of appeal on November 5, in compliance with the constitution, requesting for more information to allow me to prepare my heads of arguments. The same day I then received a response from Zifa, notifying me that I was banned from participating in all football activities, hence my appeal could not be entertained, neither would I be given any information as per my request. "However, I proceeded to file my appeal papers on the same day in terms of the electoral code requirements. Copies of these letters are contained as attachments in my submitted documents to your esteemed office. In terms of the electoral code section I quoted above, the Zifa appeals committee must have heard and disposed of my matter of appeal within four days, to be more precise by November 9, 2018. This did not happen because there was no appeals committee in place as I alluded to in my earlier communication. "On November 16, 2018, I wrote to the appeals committee through the Zifa secretary, advising them that they had failed to hear my appeal and dispose of it within the prescribed four days period. Technically, by law, I was and I am now eligible to contest for the position of Zifa president." The Zifa presidential aspirant also alleged Chiyangwa was abusing Fifa's name, claiming the world soccer governing body would not make a decision against him because he was a huge influence when it comes to voting. "My main worry at the moment is that the Zifa board elections are scheduled to take place on December 1, 2018. I am yet to receive any decision from your esteemed office. Philip Chiyangwa is boasting that he is Fifa's man in Africa, so Fifa will not make any decision against him because African votes are in his hands, come 2019. "In conclusion, I appeal to you and your respected office to postpone the Zifa elections pending investigations into the electoral irregularities as contained in my earlier submissions," part of the letter read. 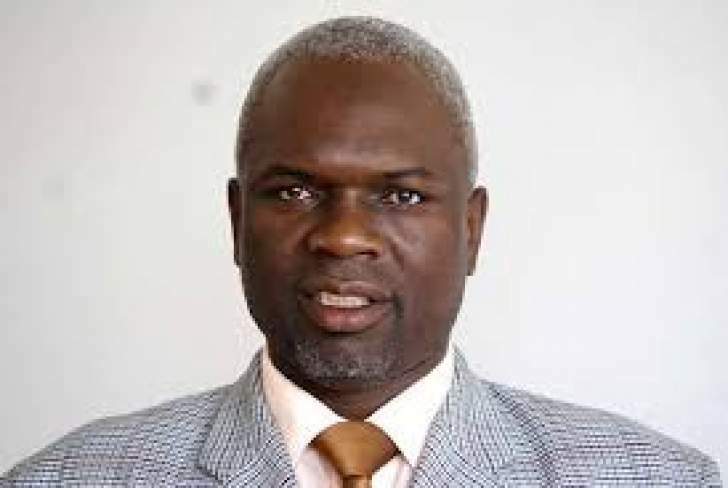 Former Southern region boss Gift Banda, who is also targeting to challenge Chiyangwa's deputy Omega Sibanda for the vice-presidency, was disqualified on the alleged grounds he was still serving a ban.